One of the great things about working with volunteers is the surprises that come up. Kathryn Barnett, a volunteer helped me pin point a vital part of the history of one special vehicle. Sometime later this led to us meeting up for a coffee and a radio interview on the 3rd September 2018 at Spark Radio in Sunderland for their show on community arts, Arty Parti. This also led to meeting up with Mel Pears of the Finchale Group, and Mel also popped along. As a result we hope to see/create an extension of the No Passengers Allowed project in 2019! 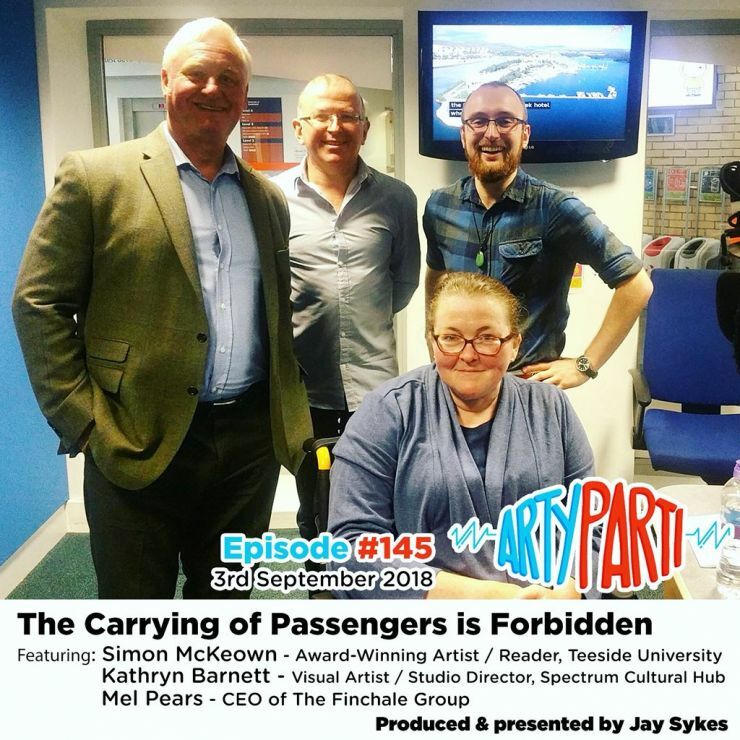 On this week's ArtyParti, meet the team behind we’re talking about “The Carrying of Passengers is Forbidden". It’s a Heritage Lottery Funded project in association with Disability North, exploring the hidden and neglected heritage of British invalid carriages. Simon McKeown, an internationally exhibiting, award-winning artist, whose work reflects his interest and experience of disability. His collection of invalid carriages is the heart of the project. Kathryn Barnett, a visual artist and Studio Director for the Spectrum Cultural Hub, a centre for cultural and creative learning in Dawdon, County Durham. Mel Pears, CEO of The Finchale Group, who offer tailored support to disadvantaged groups, such as people with disabilities. ArtyParti is a weekly radio show celebrating participatory arts in the North East - live on Spark every Monday at 11am. Produced & presented by Jay Sykes. Thank you!